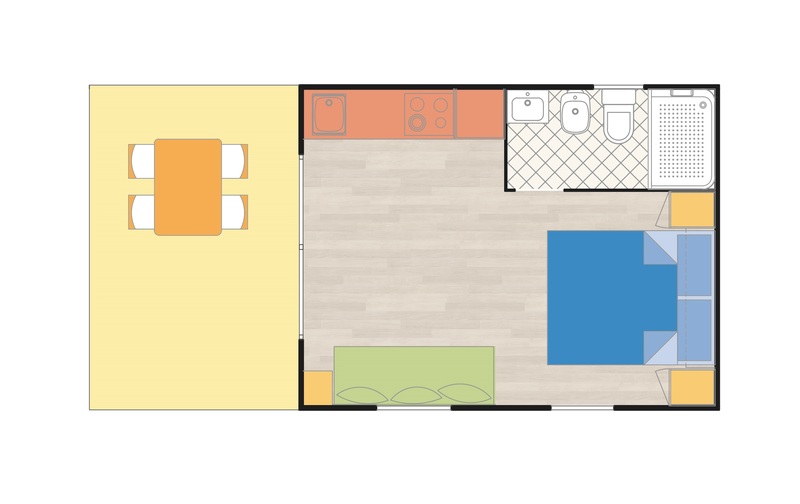 Thie unit is a one-big room with double bed, one sofa-bed (opened it measures 135 x 190 cm), kitchenette, bathroom with shower, toilet, bidet, hair-dryer. External covered veranda with table and chairs. Equipped with air conditioning and Plasma TV. Upon request we can add a Baby Cribb or Baby Bed.